It's been a season of celebrating in our family. First was our nine year wedding anniversary. We praise God for a marriage that still thrills us! The next day, Simon graduated from the Penguin class at school. We are so proud of him. Then, Talya turned two and Charlie turned one. Needless to say, we've had our share of cake, and we can count on June always being busy! We are overjoyed that Charlie Iranzi Thomas is home with us, his forever family! 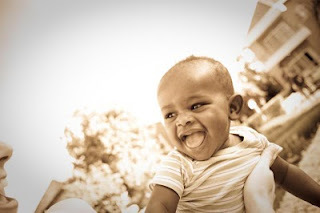 Charlie was born in Rwanda in summer 2009, and we got to first meet him on January 25, 2010. He is beautiful, cheerful, and a joy to have in our home. 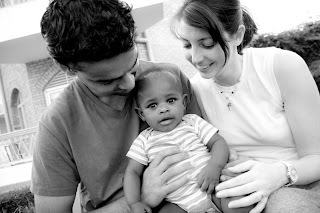 We are amazed at God's goodness to us through the adoption process. We are learning more and more what it means to be adopted into God's family, and to live as His children. To read more about our adoption journey, read Susie's blog. Charlie is named after Susie's Pop-Pop and his middle name Iranzi means "God knows me" in Kenyarwandan. Pictures by the fabulous Becky Fisher.